On Sunday, some of us girls got together at N's place to discuss Up From the Blue. We all filled plates of fruit, cheese and crackers, brownies and mini cupcakes, veggies and other delicious apps, and N served up a sweet-tasting, smoothie-like pink punch. During our conversation, we commented on the quirkiness of the characters, the distinct time period of the 1970s, and the idea that you never know what goes on inside other people's households. The story line was intriguing and somewhat mysterious, and because the protagonist was a young girl, we found ourselves wondering what her life was like from an outsider's perspective. 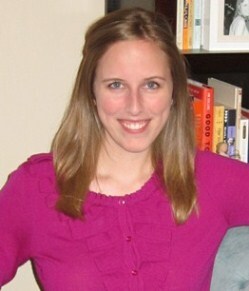 How would she or her family appear from a more objective point of view? We enjoyed the book, but the mood was a little darker than we were looking for, considering it's summertime. 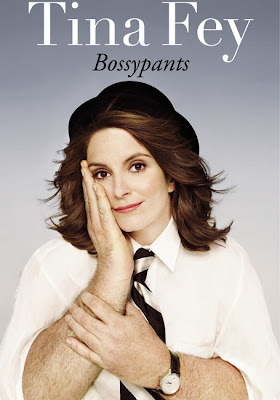 So for next month, we are going with a light, fun read-- Bossypants by Tina Fey. This title highlights the high and low points in Fey's life, giving readers plenty of reasons to laugh along the way. We'll be meeting in August to discuss... and weather permitting, we might even sit around a pool while we chat! Tina Fey’s new book Bossypants is short, messy, and impossibly funny (an apt description of the comedian herself). From her humble roots growing up in Pennsylvania to her days doing amateur improv in Chicago to her early sketches on Saturday Night Live, Fey gives us a fascinating glimpse behind the curtain of modern comedy with equal doses of wit, candor, and self-deprecation. Some of the funniest chapters feature the differences between male and female comedy writers ("men urinate in cups"), her cruise ship honeymoon ("it’s very Poseidon Adventure"), and advice about breastfeeding ("I had an obligation to my child to pretend to try"). But the chaos of Fey’s life is best detailed when she’s dividing her efforts equally between rehearsing her Sarah Palin impression, trying to get Oprah to appear on 30 Rock, and planning her daughter’s Peter Pan-themed birthday. Bossypants gets to the heart of why Tina Fey remains universally adored: she embodies the hectic, too-many-things-to-juggle lifestyle we all have, but instead of complaining about it, she can just laugh it off.